When it comes to Florida Keys snorkeling and novice diving, Coffins Patch, a reef at Marathon, is an amazing Florida Keys dive site. The overall area is composed of 6 different reefs, each sporting a predominantly different coral. This feature alone makes an exploratory trip out to this Florida reefs dive site worthwhile. 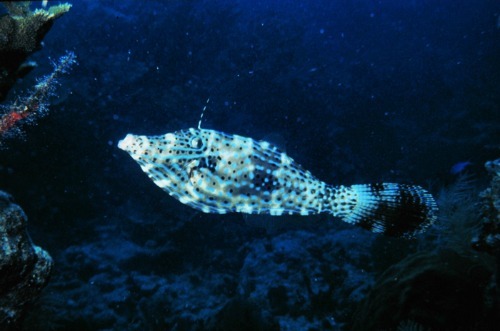 The Florida marine life is also extensive and diverse. For anyone interested in underwater photography, this is Florida coral reef dive site worth visiting. Out of all the coral reefs that make up this dive site, the "Stake" is the easiest to identify. Jutting out of it's oval shape is an iron pole, hence it's name. The Stake is a great shallow Florida Keys snorkeling spot at about 10 - 15' depth. There are two exceptions to this shallow rule at this Florida reef system. At the west end of the Stake the depth reaches about 25'. Plus at the Outer Edge reef it drops to a depth of about 40'. This makes the Outer Edge Reef the best of the 6 for anyone scuba diving Florida Keys at Coffins Patch. At the west end of the Stake you'll also encounter some larger, towering pillar coral. Plus since the Stake is a designated SPA area, you'll find a vast selection of fish and other marine life, including a relatively large number of lobsters crawling about. Some of the other reefs are the Elbow which is situated about 1 mile east of the buoys. This is another shallow area at a maximum of 15 feet. Just a short distance away from the Elbow is the Sand Circle which again is shallow at 15 feet. Another of the coral reefs is where the remnants of a mid-1800's ship is located. It's referred to as the Three Bag Reef wreck and this reef has a maximum depth of about 15'. The Pillar reef and the Outer Edge reef on the ocean side, make up the last of the six. Over and above the Florida marine life and some remnants from the Three Bag Reef Wreck, you can also look for silver and gold coins from one of the Spanish Treasure Fleet vessels. However anything you find must be left where it lies. The remains of the 292 ton Ignacio Wreck aka Sumey de San Ignacio or San Ignacio sank here in the 1733 hurricane. 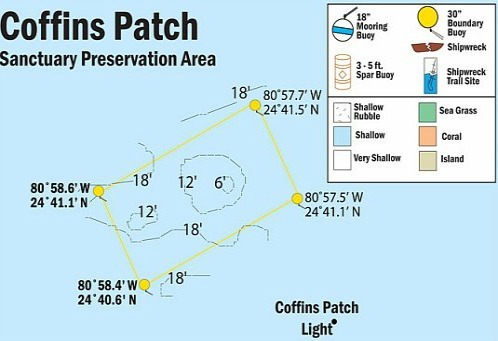 Even though Coffins Patch has a lot to offer, it's not a heavily trafficked Florida Keys dive site. Perhaps that's because it's better suited to coral reef snorkeling and novice diving. 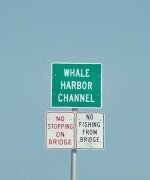 However it's only about a mile away from the Thunderbolt Wreck which is a great advanced Florida Keys dive site, and on high visibility days a good intermediate dive spot. This would make this Marathon diving site the perfect last stop for advanced divers looking to unwind.